Police in Bournemouth have released a CCTV image of a woman they would like to speak to in connection with the theft of a dog and a handbag in the town. The incident happened on 27 November 2016 at around 11.30pm in The Moon in the Square pub on Exeter Road. 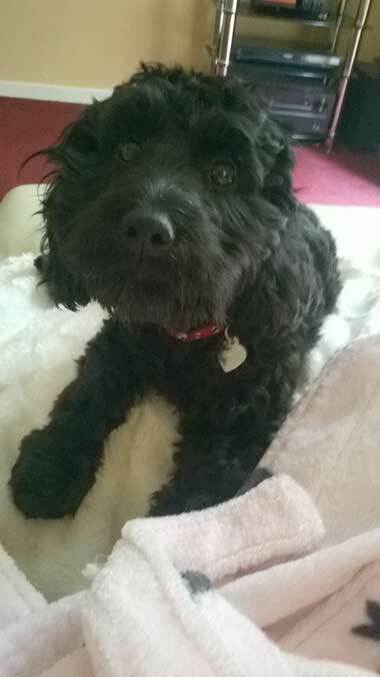 The victim – a woman aged in her 50s from the Buckinghamshire area – was being treated by staff and paramedics following a medical incident when a woman stole her handbag and her black Cockapoo called Sophie. Police Constable Steve Lea, of Bournemouth police, said, “The theft has obviously left the victim distraught. “I am appealing to anyone who knows the woman pictured to come forward as she may hold vital information that can assist with the investigation. Anyone with information is asked to contact Dorset Police at www.dorset.police.uk, via email 101@dorset.pnn.police.uk or by calling 101, quoting occurrence number 55160178197. Alternatively contact Crimestoppers anonymously on 0800 555111 or viawww.crimestoppers-uk.org.